Green Blade reel no tools are required for this easy to assemble reel which will hold any 30m/100’ x 13mm/1/2” hose. There are 7 step assembly instructions provided on the side of the box. colour box packaging. 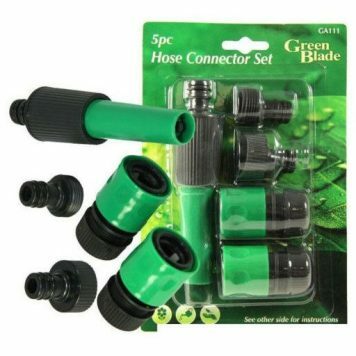 Green Blade offers a comprehensive range of garden tools and general garden maintenance products. Highly visible branded packaging. 12 month no quibble guarantee. 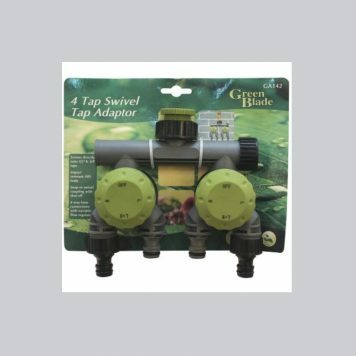 If you’re a novice gardener or just keen to upgrade your outdated tools, Greenblade can help. Bringing together a huge choice of equipment, so that you will find all you need, from a hardwearing pair of Gloves to a Ratchet Tree Pruner or even a Garden Cart. Greenblade provide top quality garden tools that will take the strain out of even the hardest of tasks.